Summary: In the 21st century landscape of bits and bytes, everyone leaves a digital footprint ... even the most advanced cyber criminals. And that’s where the Trackers come in. 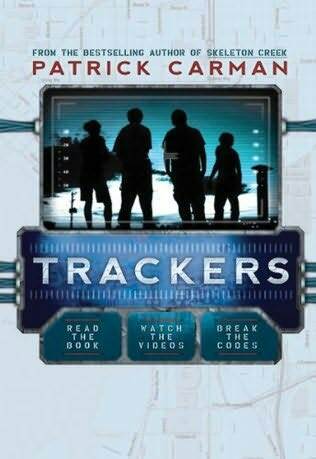 Four tech-savvy kids armed with high-tech video cameras and esoteric coding skills, the Trackers can find almost anyone, anywhere. Told through a collage of videos, text, and websites, Trackers #1 follows Adam, Finn, Lewis, and Emily as they become entangled in a high-tech, high-stakes game of cat and mouse with Shantorian, the world’s most dangerous hacker. At least, that’s who they think they’re tracking....As the four dig deeper into the shadowy world of online crime, they soon learn that things aren’t always as they seem. My Review: Trackers was a uniquely written, fast-paced book. Patrick's choice of style was different from what I'm normally used to. The whole story was told through an interview being conducted by a detective. The interviewee was Adam, a computer genius that can hack and fix any technological system. He was a loner who practically lived in his "vault." A safe haven where he could play and develop his gift for high-tech equipment. Eventually he meets Finn, Lewis and Emily who unite as the Trackers. Each character was different and entertaining. Finn, was the eccentric gamer and skateboarder, Lewis was the cautious computer nerd, while Emily kept the group focused. The Trackers mostly specialized in testing cameras and encoding programs. There operations were based on experimenting and having a good time. However, Adam's curiosity got the best of him and he started mingling with serious, confidential information. Around this time, the book started getting interesting and I was eager to find out how the Trackers were going to get out of Adam's mess. Overall, the story was quite short but it did not lack substance. Everything was well balanced and the ending had just enough suspense to make me anticipate the sequel. 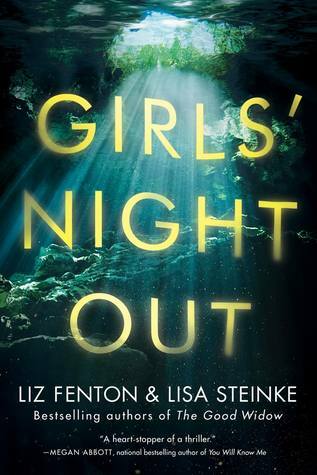 Also, it had one of the coolest covers! It came with a plastic slip, just like some DVD's do, it was very original and will definitely draw attention to readers. 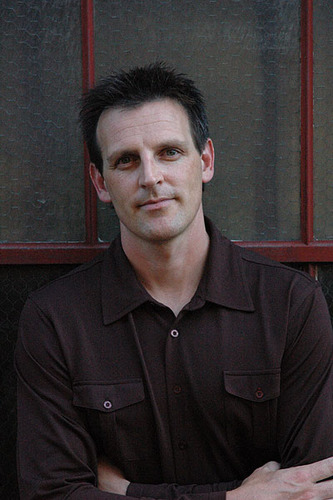 Patrick Carman is the author of the Land of Elyon books, which spent over half a year on the New York Times bestsellers list; the fifth book in the bestselling multimedia series The 39 Clues; and the Skeleton Creek series. A graduate of Willamette University with a degree in economics, he became an author after a career as an entrepreneur. He lives in the wilderness of Walla Walla, Washington, with his wife and two daughters.